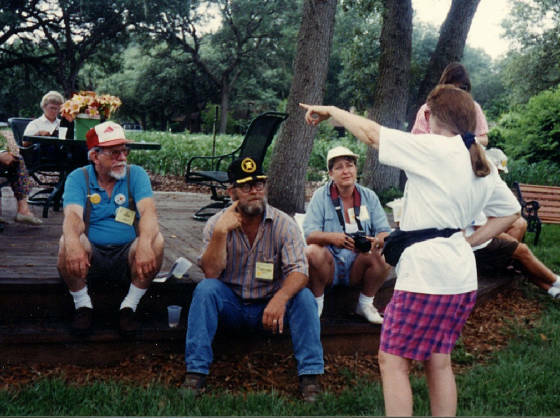 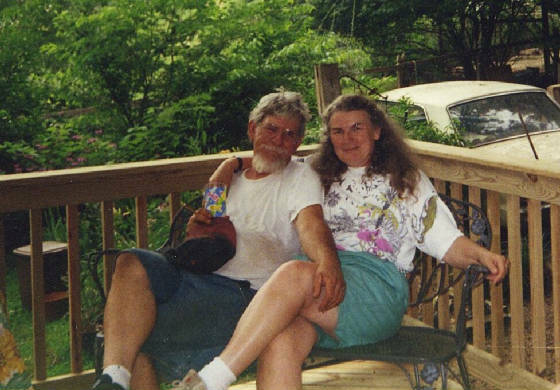 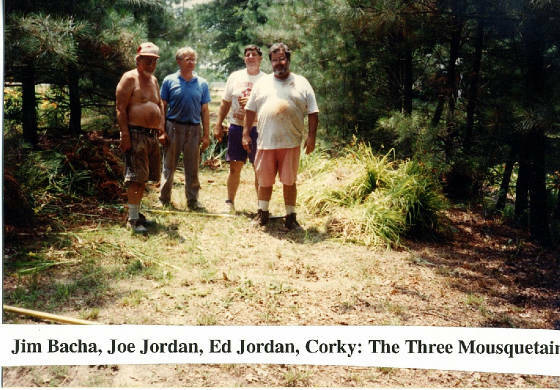 ED (deceased) and NICOLE JORDAN were the driving force holding RADS together during most of the 1980’s and 1990’s. 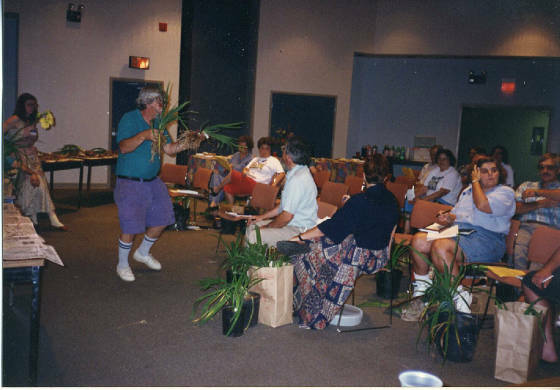 Ed and Nicole have held numerous offices in Region 3 and the AHS over the years and were instrumental in starting Lillyhemmer – the annual fall festival for Region 3. 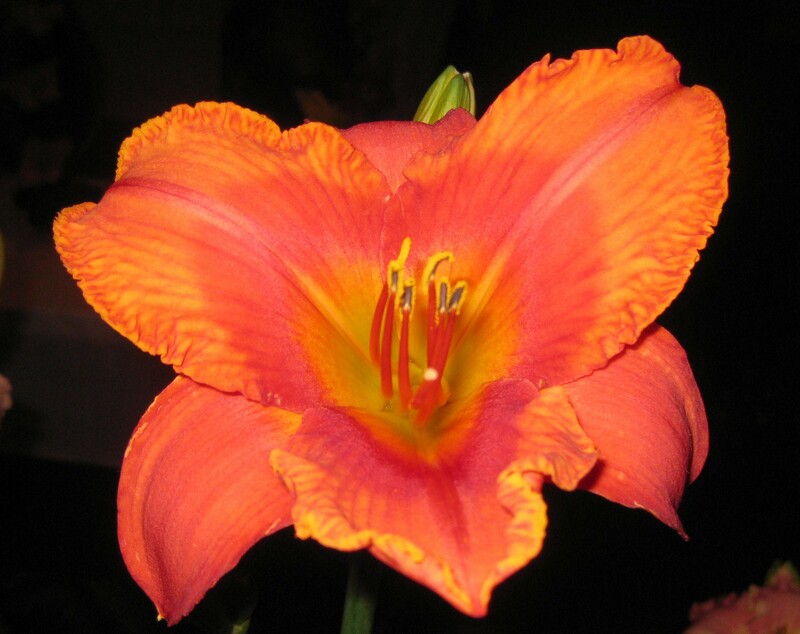 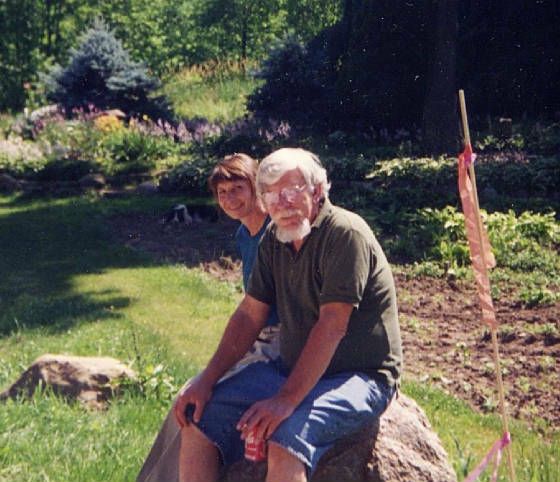 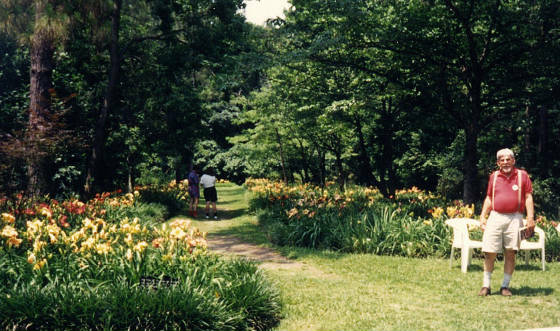 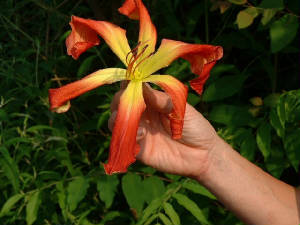 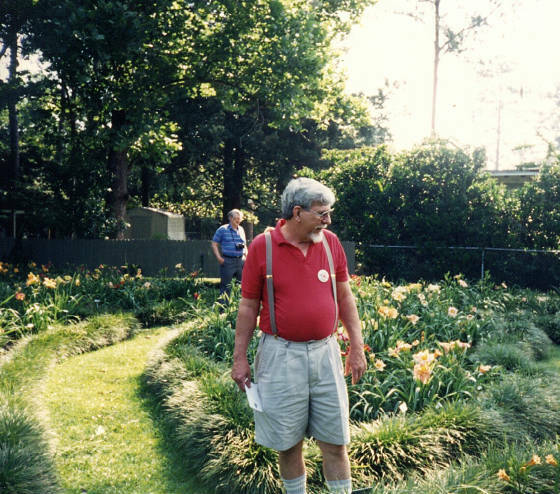 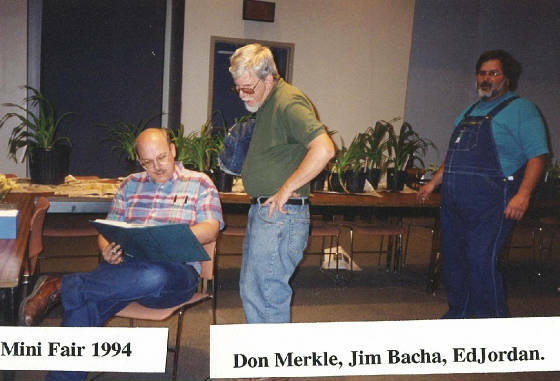 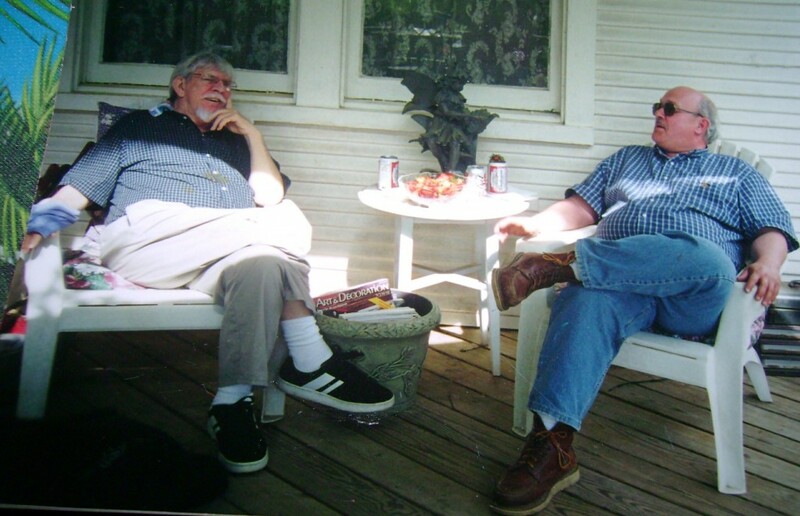 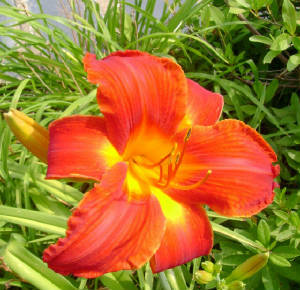 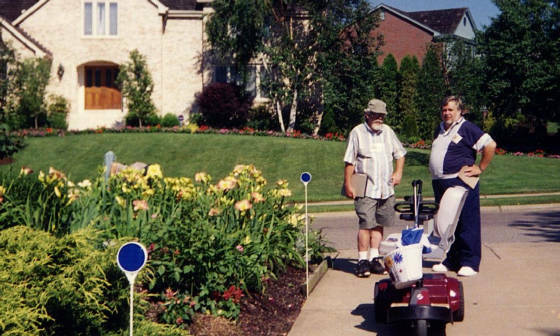 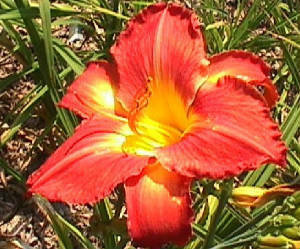 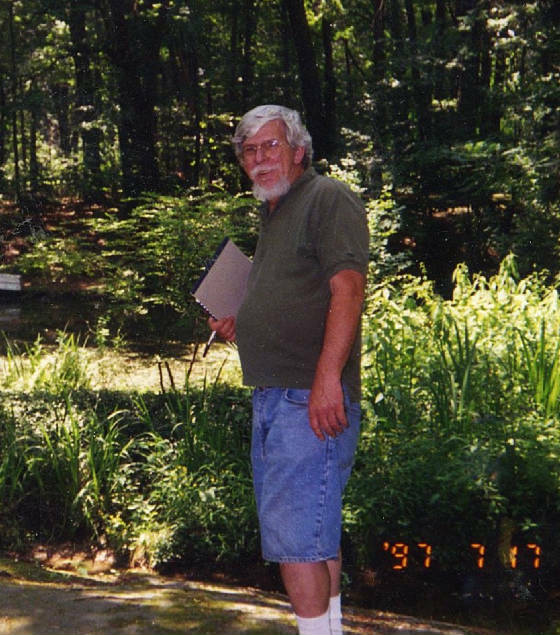 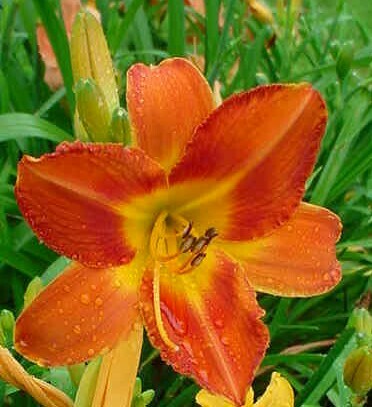 They both have had several daylilies named in honor of them. 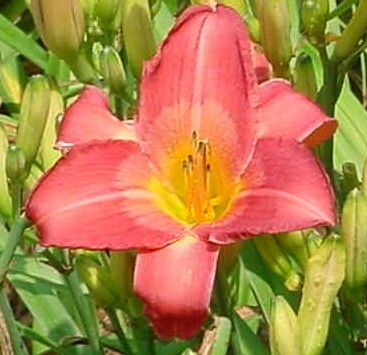 height 35″, bloom 5.5″, season L, Dormant, Tetraploid, Orange red self with gold throat. 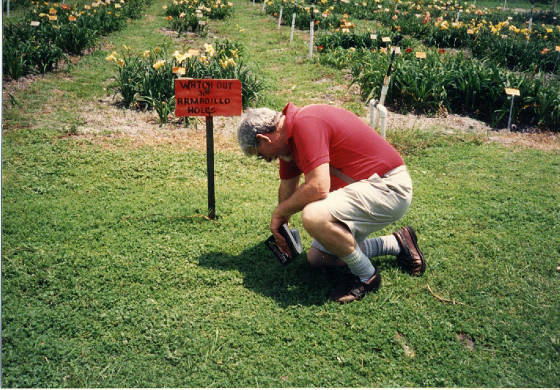 Ed looking for a daylily that he does not like.